Werbung ist manchmal einfach Zucker – zumindest in Form von auf Ihr CI abgestimmten Zuckersticks, die Ihren Kunden im Meeting, bei der Konferenz und auf der Messe süße Momente ganz in Ihrem Stil bescheren. 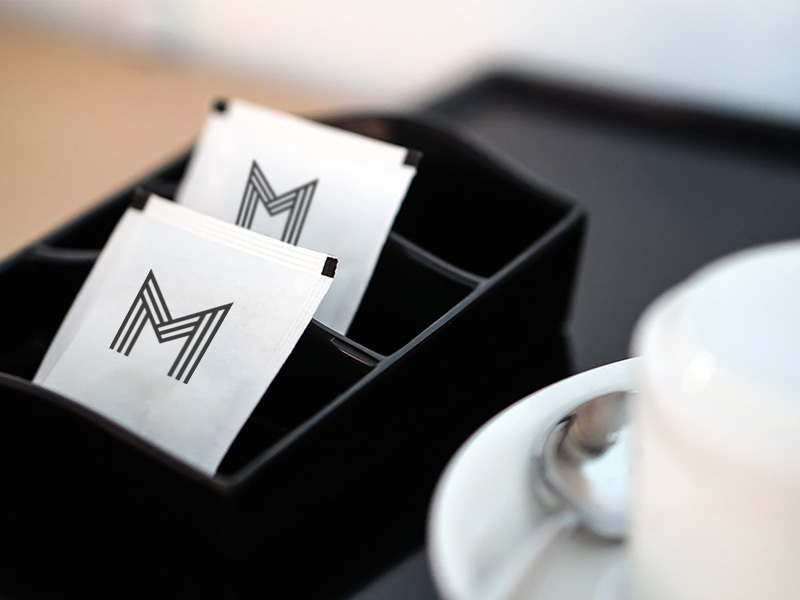 Elegantly suave and sweet as can be – that’s how good advertising should look. And when we produce it, even the price and quality deliver exquisite enjoyment. 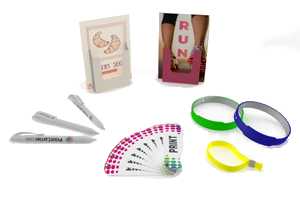 Try it out – let us print your sugar sticks. And then look forward to sweet advertising success. 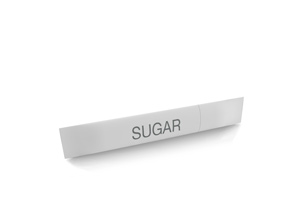 Our sugar-filled sticks excel with a slender format of 10 x 1.5cm – cutting a delicious figure on café tables or bars, in conference rooms or trade fair meetings. They make a sweet impression wherever they are used. Thanks to our true-to-scale design templates, you can confidently place everything you want us to print on your sugar sticks. 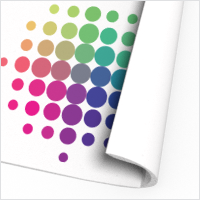 Precisely and print-optimised. For results that will sweeten your day. We fill your sweet advertising sticks with 4g of fine granulated sugar. So the contents live up to what the outside promises: top quality, just the way you like it. Don’t fret when people pick up your sugar sticks – they are simply too seductive to resist. Whether you have us print 6000, 12,000, 18,000, 27,000 or 36,000. 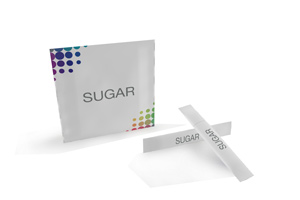 We print and deliver your sugary sticks to the address you specify within 19 working days of receiving your order – and always without charging extra for shipping. Because we mix production and shipping to tickle your sweet tooth. When we print sugar sticks, we aim to satisfy. But if we should ever be slightly off our mark, as a first-time customer you get your money back. 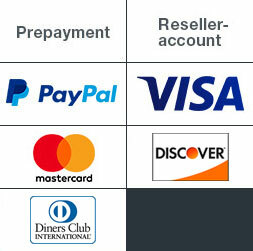 And if you’re a returning client, we will resolve everything in your favour. So you will keep coming back for more sweet products.